at the Opening Ceremony of the 16th Summit in Bogota, Colombia. The first time that I visited Colombia last year, it was to explore the venues to hold the first Nobel Peace Summit in Latin America at the proposal of Chamber of Commerce of Bogotá. I had thoroughly read all the background and the history of the war. Nothing prepared me for the emotions that I felt when the youth and society of Colombia expressed their heartfelt call for peace in their land. At the time, it was uncertain that the peace process would be successful and of course we did not know that President Santos would be the new Peace Nobel Laureate. Yet, we bet on Colombia. We were confident that the strong will of peace that we had seen in the eyes and souls of Colombians, was going to take the peace forward. We wanted to support the will of peace of the Colombian people and the millions of victims of the war here. It is extremely special to me, and to the team of the Permanent Secretariat, to be here today before you, celebrating the Summit in Colombia and in its capital city, Bogotá. First of all because happily, we are now here to celebrate the end of a terrible and long armed conflict. Since President Gorbachev created the Summit it is the very first time it is held in a country that has just begun the implementation of a Peace Agreement and the very first time it is held in the country of the most recent winner of the Prize. In a world where conflicts are escalating, Colombia has given to the world the most hopeful news of peace in recent time.  Secondly, allow me to recall that President Gorbachev created the Summit of Nobel Peace Laureates as an active platform for the peoples of the world, to bring together the stories, the courage, and the wisdom of champions of peace, and be instrumental in engaging societies towards peace and democracy. And this Summit is precisely about it: how to achieve and keep the peace. We are here today to share with each other the lessons of building peace: to bring the vision and experience of Nobel Peace Laureates, and also, importantly, to learn from the Colombian path to peace. We expect this Summit will be very special to all of us and will deliver a message of hope to the humanity that peace is possible. As I learnt here people say “Bogotá is 2,600 meters closer to the stars”, so no in this vibrant city we all the participants of the Summit feel 2,600 meters closer to Peace!